Kusiak, Ruth I.; age 85 of Oxford. April 14, 2019. 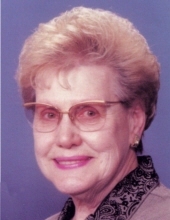 Beloved wife of the late Robert Kusiak; loving mother of Susan (Marty) Paula and Greg (Ruth) Kusiak; proud grandmother of Mary (Jon) Root, Emily, Ruth and Julie; great-grandmother of Daniel and James; sister of the late Lloyd (late Lydia) Dalton. Funeral Service Saturday, April 20, 2019 – 3:30 p.m. at Modetz Funeral Home, 100 E. Silverbell Rd., Orion. The family will receive friends Saturday 11 a.m. until time of service. Private interment Glen Eden Cemetery. Suggested memorials to Life Challenge of SE Michigan. "Email Address" would like to share the life celebration of Ruth Irma Kusiak. Click on the "link" to go to share a favorite memory or leave a condolence message for the family.